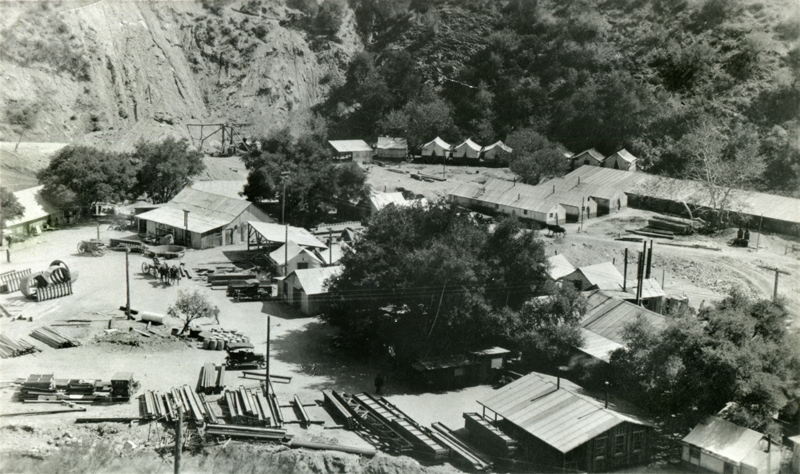 Construction camp for L.A. City's Powerhouse 2 in San Francisquito Canyon about 1920, or possibly a bit earlier since the power plant was completed in 1920 (Outland 1977:29). Construction on the St. Francis Dam started four years later. FR2001: 19200 dpi jpeg from fairly early 5x7 copy print.